Lenovo EasyCamera is a Imaging Devices device. This Windows driver was developed by DMAX-AVC. The hardware id of this driver is USB/VID_174F&PID_1164&MI_00. 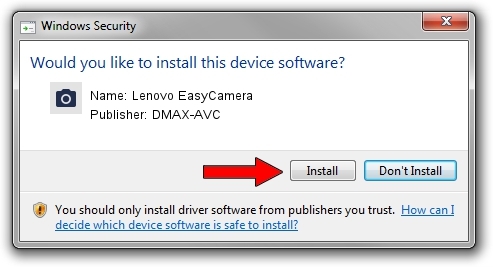 You can download from the link below the driver setup file for the DMAX-AVC Lenovo EasyCamera driver. The archive contains version 6.2.9200.10292 released on 2014-10-22 of the driver. This driver was installed by many users and received an average rating of 4 stars out of 80419 votes.